Sam William Smith's new font menu design is simple, and perfect. You can use the Mac’s font panel in some apps, but even then you’re faced with long and confusing lists. Sam William Smith, a designer from Glasgow, Scotland, decided to do something about this. 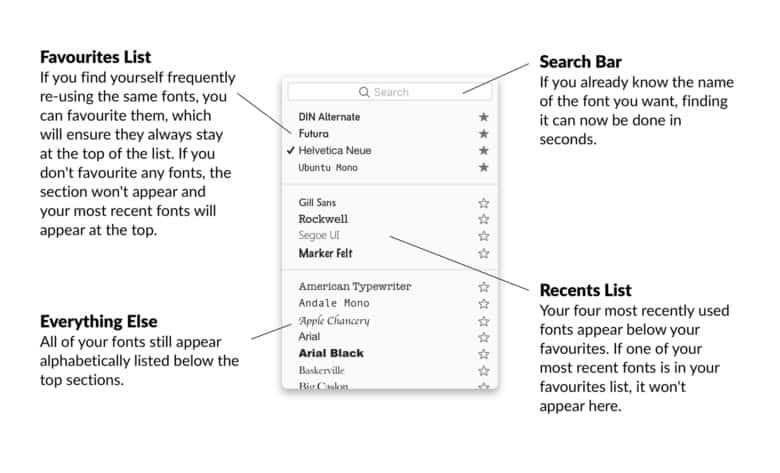 He completely redesigned the Mac font menu, and it’s great.